Well, here's something you don't see everyday. According to the Chicago Tribune, an inmate fell through the ceiling while trying to escape from a jail in Indiana. Inmate Blaze Ayers attempted to flee as corrections officers escorted him to his holding cell from the indoor recreation area. 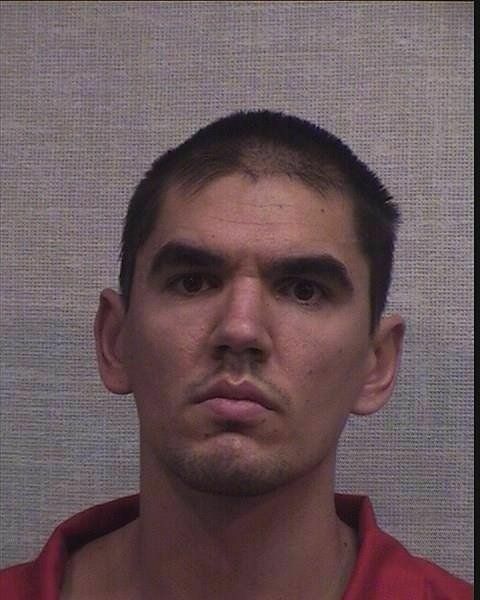 Here's his mugshot courtesy of the sheriff's Facebook page. "Once he got into the ceiling, he started to make his way into the booking area." Surveillance footage captured the attempted escape. Sheriff Rick Meyer said in a press release that Ayers locked himself in a medical room before climbing into the ceiling. 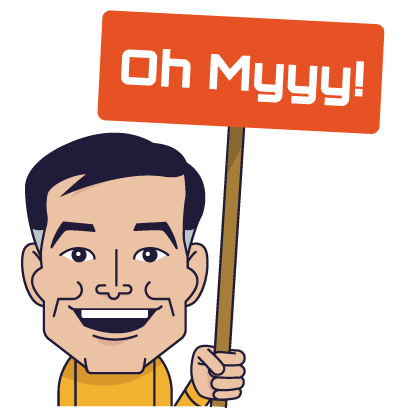 "On February 4th, 2019 at approximately 10:15 p.m. an inmate at the Jackson County Jail attempted to escape the facility." "The incident occurred when Jail Officers were taking inmate Blaze Ayers, 28, to his holding cell from the indoor recreation area. Ayers's holding cell was located in the book-in area of the jail. Upon arriving in the booking area, Ayers ran into a medical room and locked the door behind him. Jail Officers went through an adjacent room and when they entered the medical room Ayers had made his way into the ceiling." "Jail Officers attempted to get Ayers to come down but he refused to comply. Ayers continued to crawl through the ceiling in an attempt to escape, causing damage to the ceiling in multiple areas of the booking area. Ayers eventually fell through the ceiling and to the floor of the booking area. Upon falling Ayers still refused to comply with orders given, and he was subdued by Taser." "The attempted escape by Ayers caused extensive damage to the ceiling. No estimate of the damage is available at this time." 2.) Criminal Mischief Class A Misdemeanor." "The investigation is ongoing and additional charges are possible." "Deputy McElfresh was assisted by Jackson County Jail Officers, Jackson County EMS, Brownstown Officer Blake McCrary, and Deputy Mitch Ray." 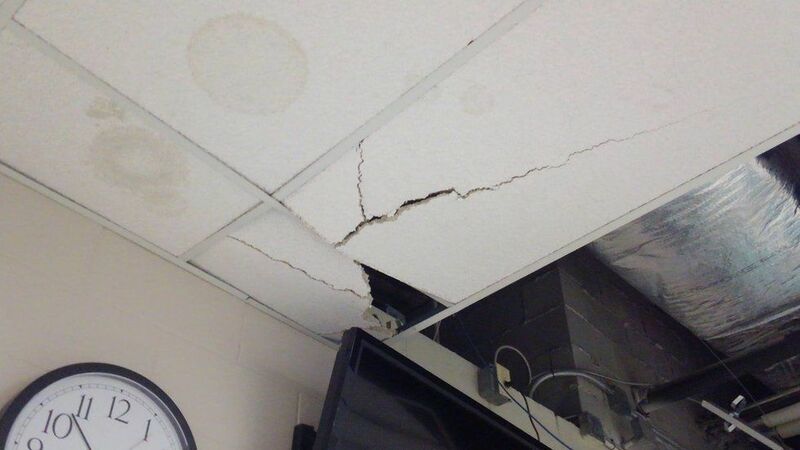 The ceiling was destroyed and will need to be repaired. 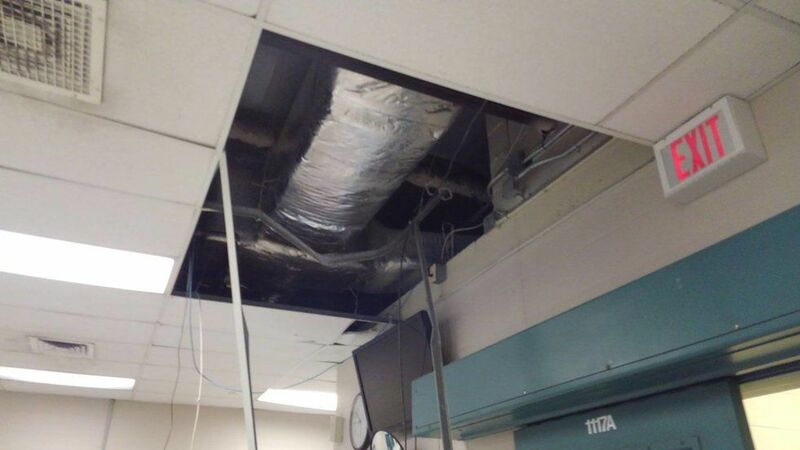 "There is quite a significant amount of damage to our ceiling and three main areas: our booking area, our medical room and our fingerprint room." "It's pretty uncommon, but it has happened before. We've had two other incidents several years ago, but there's never been a successful escape here." "We've changed a few things. The medical room no longer locks. We're probably going to change that to a privacy curtain. Our recreation policy is going to change a little bit. We always tell the inmates to follow the rules, and they're disciplined if they don't." Better luck next time, Ayers.